I wasn’t seeing any improvement with my hair, skin, and nails and it was making me gain weight. I was a faithful biotin user over the years. I would take the maximum potency pills everyday for about two or three months then I would stop. Then my hair, skin, and nails would start acting crazy and I would go back to my biotin. Now let me tell you, those pills are expensive. If they were ever on sale at a drugstore I would buy two, or buy them in bulk at BJs to get somewhat of a deal. So in addition to my multivitamin, I was taking biotin, and hair, skin, and nail vitamins, which is just biotin and other a few other vitamins. I wanted to achieve the hair results that were promised by Hairfinity and Manetabolism. Again, this goes back to my issues with my hair. So I just randomly stopped taking the biotin and hair, skin, and nail vitamins in early February. This was unintentional at first. I just stopped. I still have a bottle of vitamins in my desk drawer at work. I think my subconscious self realized they weren’t working. 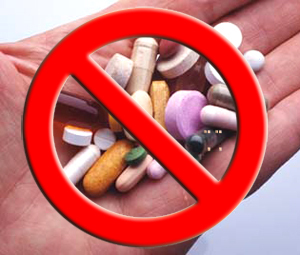 I was taking the pills faithfully, but I have not seen improvement in my hair, skin, or nails. I’m thinking that maybe in the past I was being a little delusional because everyone else said it worked. Maybe it did work, but it definitely stopped. It just made me hungry. 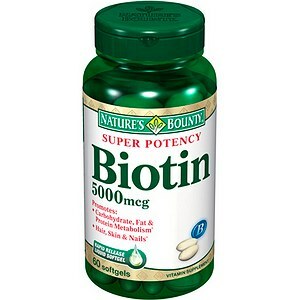 This year I realized that when I would take my biotin my appetite was crazy! I was just eating constantly. Since I stopped last month I have noticed that my appetite has changed. I cannot attribute all of my weight gain to these little pills, but they definitely played a part. I have heard of biotin making your hair thin and causing acne, but I started doing research about weight gain and although there is no research that supports it, many of the reviews by people who have taken the vitamins have said it made them gain weight. This may not be everyone’s experience, but it has been mine. So now that I am free from taking the biotin pills, I have to make sure that I eat a healthy diet instead of taking supplements. I’ll get my vitamins the old fashion way, fruits and veggies. Have any of you ever had issues with biotin? How did you deal with them?